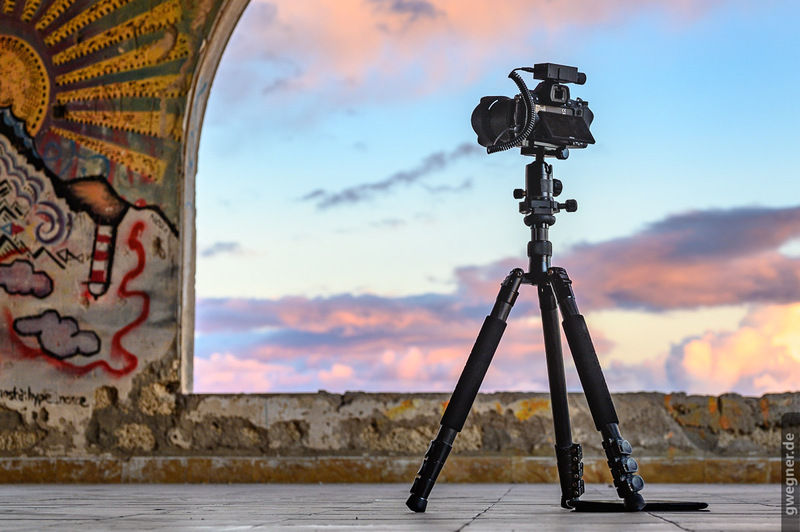 The LRTimelapse PRO Timer 2.5 is one of the most advanced and flexible intervalometers available. It’s an improved version of my free open source project LRTimelapse PRO Timer Free which you can still build by yourself. The PRO Timer 2.5 is now available for buying from Germany and I’m working to make it available for other countries too. Please sign up for my newsletter to get informed as there are any news. Very fast shutter release with no unecessary delays due to autofocus signals. This allows the shortest dark-times possible, which is often a key to great timelapses. Intervals can be defined in 0.1 second steps. Easy user interface on a OLED display with rich contrast, which is readable in any conditions from bright sunlight to pitch black night. Easily operable with gloves due to the simple and user friendly interface with one large rotating and clickable knob only. Defaults for interval, number of shots and other settings can be stored in the timer. Optionally the camera can be operated in Bulb-Mode for longer Exposure times than 30 seconds. This is especially useful for astro-photogaphy. It works for timelapse and single exposures. Smooth interval ramping / fairing possible. This means you can change your shooting interval smoothly from one value to another over an individual selectable time. This works also in combination with motion control hardware. You can easily turn off any illumination on the timer. Recording of unlimited images or a predefined amount of images is both possible. 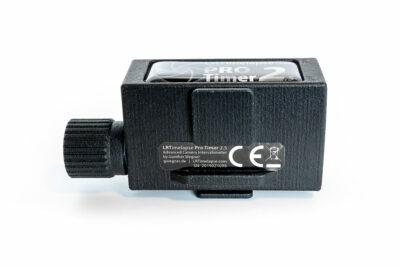 The display of the timer will always provide you with any information that you need to monitor during a shooting: remaining/elapsed time/images etc. The LRT PRO Timer has two hot shoe mounts, which allow you to attach it at two different angles to the hot shoe of your camera. Additionally you’ll have two eyelets to fix it to the tripod with velcro or a chord. Two camera ports can trigger 2 cameras in parallel. You can also use the second port for slave-triggering a motion control device, which will save you from using a hot-shoe solution for this. 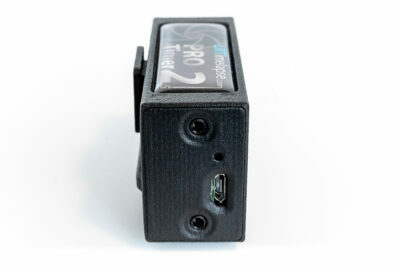 Support for any camera where a standardized analog release cable is available for. Those cables have a 2.5mm TRS on one side, and the proprietary camera connector on the other side, and are available for Nikon, Canon, Sony, Olympus, Fuji etc. (More details). Small, light and resistant case! Built in Li-Ion Battery which will be charged via Micro-USB. Of course you can also power the LRTimelapse Pro Timer via a USB-Powerbank. 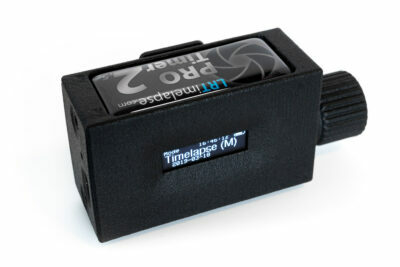 The LRT Pro Timer has a battery powered real time clock which enables scheduled timelapse shots. The OLED can be used as flashlight to illuminate the foreground for Astro-Photography or Astro-Timelapses. Full support for mirrorless cameras (DSLM) via a special Wake-up feature which prevents losing shots when the camera goes to sleep mode. Approved for cold conditions up to -20°C (will probably also work below that). Check out the Quick start Guide! If you wrote a review, let me know, I’ll be happy to link to it here!